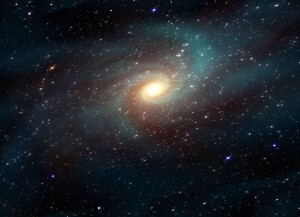 Scientists have concluded that our universe began with one enormous explosion of energy and light, called the Big Bang. This was the singular start to everything that exists: the beginning of the universe, the start of space, and even the initial start of time itself. The universe has not always existed. It had a start. But what caused that? Though scientists have convincing explanations for the sudden occurrence of this explosion of light and matter, they do not provide what initiated it. When much of life may seem uncertain, but look at what we can count on day after day: gravity remains consistent, the earth rotates in the same 24 hours, and the speed of light doesn’t change — on earth or in galaxies far from us. How is it that these laws of nature NEVER change? Why is the universe so orderly, so reliable after a random explosion? Even the greatest scientists have been struck by how strange this is. There is no logical necessity for a universe that obeys rules, let alone one that abides by the rules of mathematics. This astonishment springs from the recognition that the universe doesn’t always have to behave this way. It is easy to imagine a universe in which conditions change unpredictably from instant to instant, or even a universe which has random explosions often spreading energy and space. The first direct scientific evidence for a big bang universe dates back to 1916. That is when Albert Einstein noted that his field equations of general relativity predicted an expanding universe. Unwilling to accept the cosmic beginning implied by such expansion, Einstein altered his theory to conform with the common wisdom of his day, namely an eternally existing universe. The characteristic of the universe which is stated more frequently than any other in the Bible is its being “stretched out.” Five different Bible authors pen such a statement in eleven different verses: Job 9:8; Psalm 104:2; Isaiah 40:22; 42:5; 44:24; 45:12; 48:13; 51:13; Jeremiah 10:12; 51:15; and Zechariah 12:1. Job 37:18 appears to be a twelfth verse. The Islamic story of creation also says that when God wants to create something, he says, “Be”, and it becomes. This was how God created the Earth and the Heavens. He created creatures that walk, swim, crawl, and fly. He also created the angels, the sun, the moon, and the stars. The story of creation in Hinduism mentions that when Brahma gets lonely, he splits himself into male and female, the same for man and beast. Everything comes from different parts of his body. One day of Lord Brahma is supposed to be longer than four thousand million Earth years. Every ‘night’ that Lord Brahma sleeps, the world is destroyed, and recreated every ‘morning’ that he wakes up. This cycle of the ‘yugas’ is ongoing and continues forever. Yang created P’an Ku, the Ancient One, who was given the task of bringing order to the Earth. He created the mountains and the hills, and dug river valleys. One day P’an Ku collapsed and died. When he fell to the ground, his body transformed into the five sacred mountains. Taoism believes that his hair became the plants, and his blood formed the rivers. Thus, the world, as we see it today, was created. Though the stories be different, every religion proves of a higher power responsible for the creation of this orderly universe. So what about Big bang? Many of the recent studies show that big bang theory has been proved with various irrelevant assumptions. The Bible offers answers to the many question which have now been raised by the scientists.